The Bible is full of references to and descriptions of celebrations...everything from the feasts of the Old Testament, to the Prodigal Son coming home in the New Testament. And of course it also talks of the greatest celebration of all that's still to come: the Marriage Supper of the Lamb written about in the book of Revelation. I'm sure that we have no idea how utterly amazing that celebration will be someday! 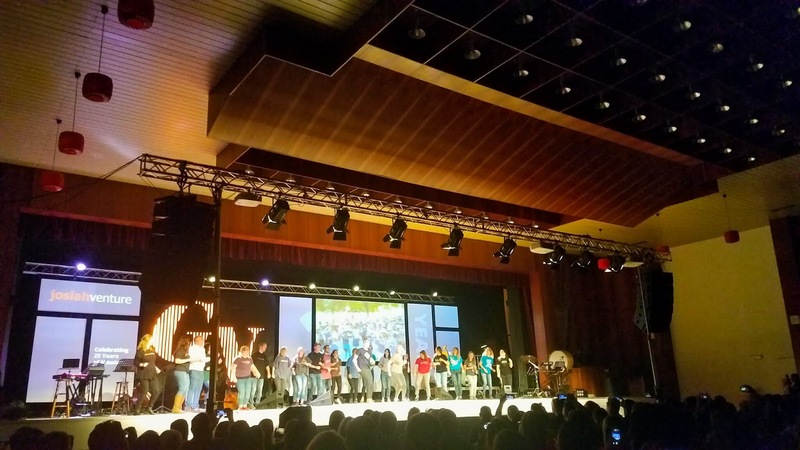 It truly was ALL ABOUT giving honor, praise and glory to God for 25 years of His faithfulness to reach young people with the Gospel and draw them to Himself! I couldn't resist bringing my phone with me onto the stage for the first set of worship songs that evening. I knew I'd want to remember the joy, excitement and energy that was felt by all! As the horns played, and the band grooved, the choir joined in on an incredibly stirring version of "Lord You Are Good" which was SO appropriate for how we were all feeling that night! I love this photo! Claire got to sing in the choir which was such a delight to me personally - we've never sung in a choir together! And Noemi, who stood next to her, was a teenager when the Ellenwood's moved to Cesky Tesin over 20 years ago, there to greet them the day they arrived. And now here she is, a wife and mom serving the Lord with JV. Tyler took photos for me from the audience, capturing those incredible moments on stage of worshipping the Lord together. You can't see all those who were on stage with us in the band - it was quite a talented crew! 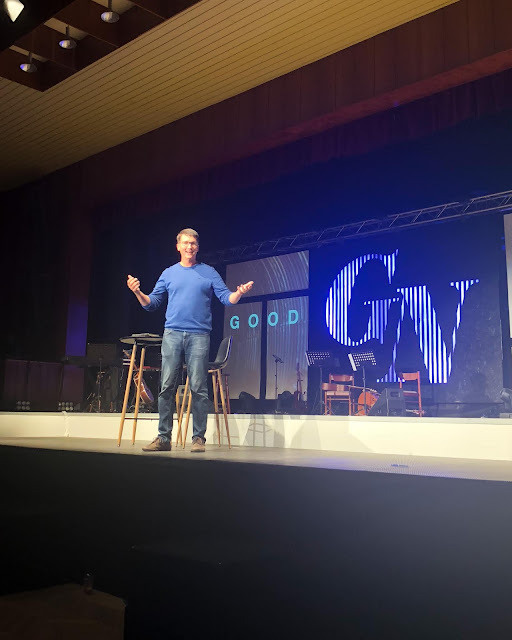 After that first worship set, Dave came to the stage and began to share about the beginnings of JV. 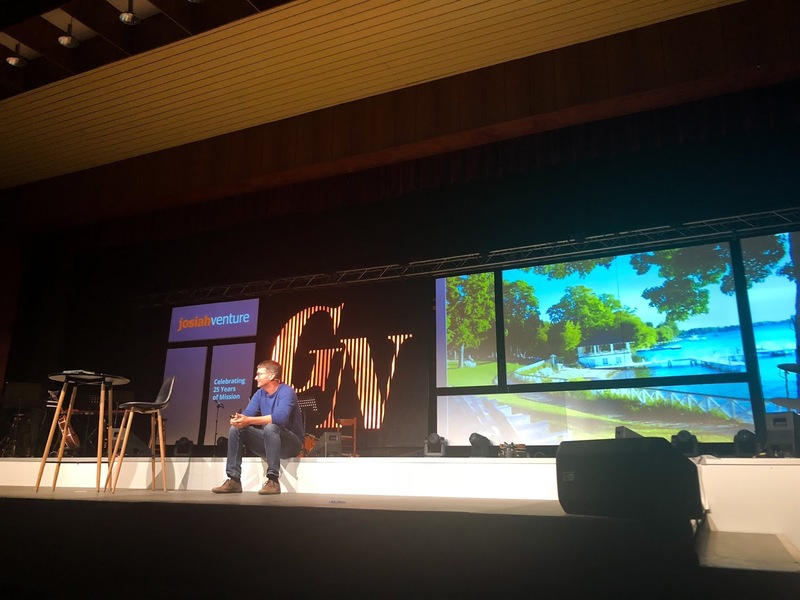 The Lord gave Dave the blueprint for what He wanted to accomplish alongside Lake Geneva in Wisconsin during the year Dave was studying at Wheaton College in 1991-92. It was there that he received God's vision for Josiah Venture: "A movement of God among the youth of Eastern Europe (we added "Central" later! 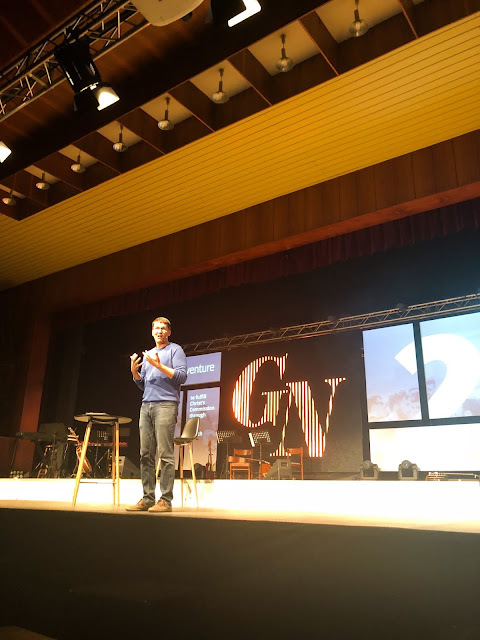 ), that finds its home in the local church, and transforms society," as well as the mission: "To equip young leaders to fulfill Christ's commission." But moving to Havířov, Czech Republic on November 9, 1993, we were a long ways from seeing those things fulfilled. 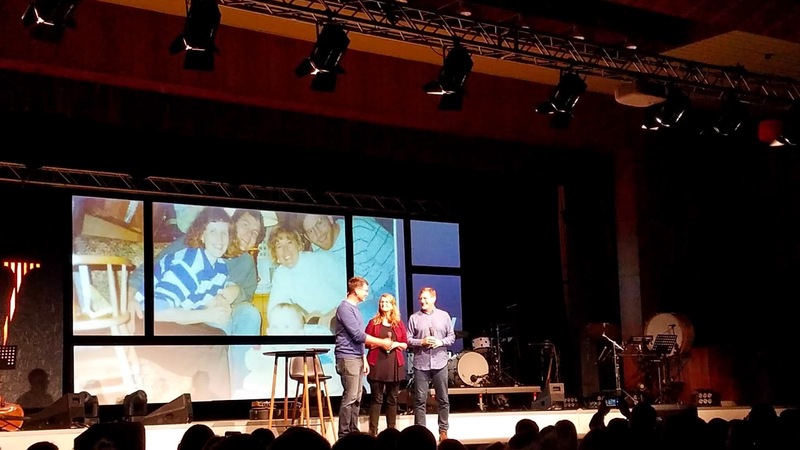 On that day we arrived with Dan and Laura Hash, who would move to Poland the next day, we began the journey of finding out how God was going to accomplish this vision and mission. Laura couldn't be there that night as she was in the States with her mom who was sick. 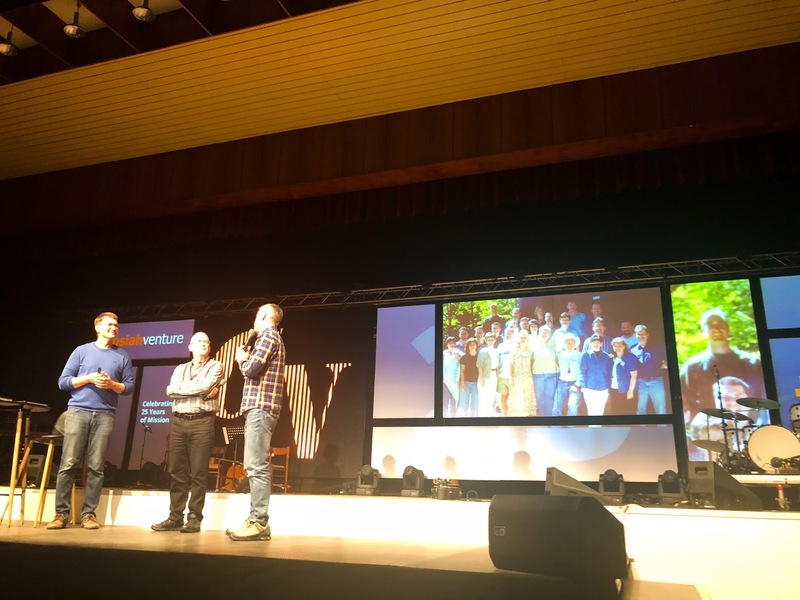 Dave brought Dan and I up on stage to talk about those first days and how it felt to be here back then (lonely and scary), what motivated us to stay (calling of God), and why we're still here (we love and long for the young people of this region to know Jesus!). I literally had chills looking out over the audience of 400 as we talked with Dave, reveling in God's plan that brought each one of us here to fulfill His vision and mission. How utterly thankful I am that God allowed me, a common girl from Oregon, to have a front row seat, watching what He's been doing these past 25 years! Next Dave brought up two of the first kids in our Havířov youth group, Katka Roney and Pavel Schwartz. 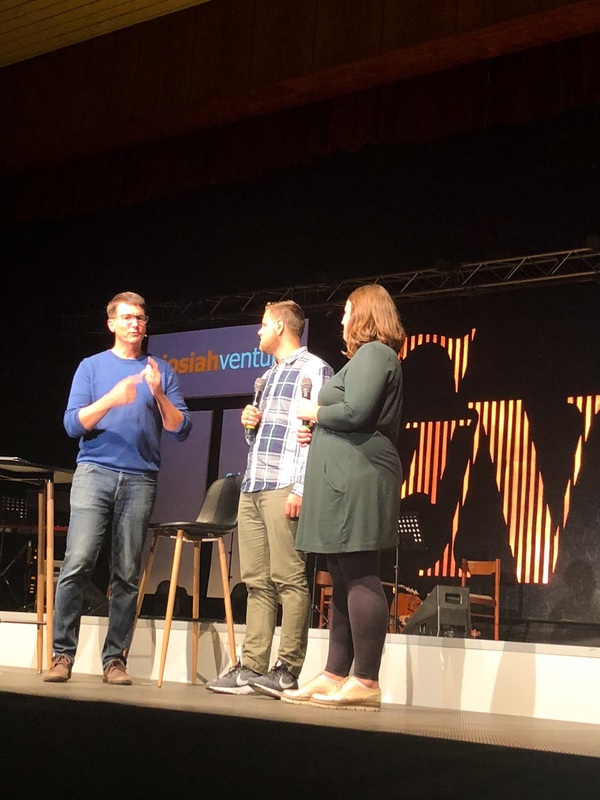 They shared about trusting Christ as teenagers at one of our first camps, how their parents responded, and what led them to give their lives to serving with JV today. 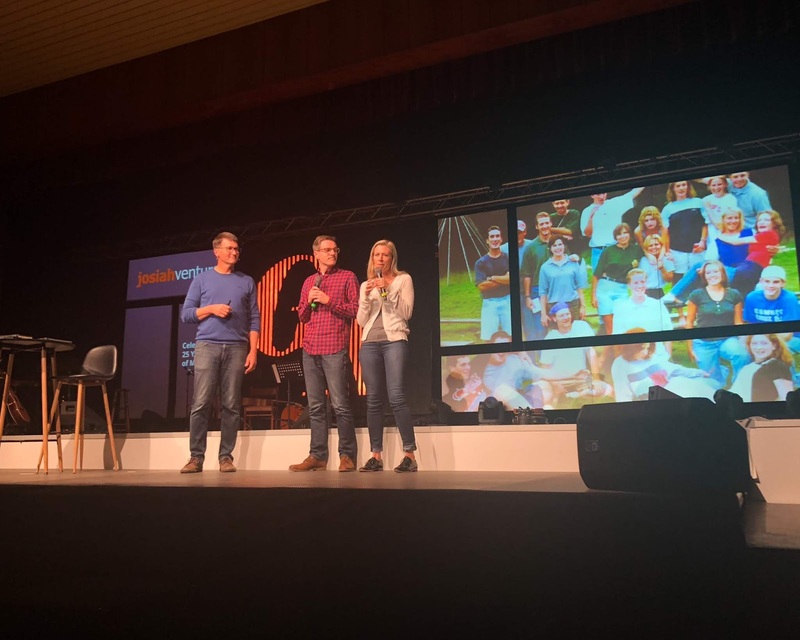 Katka lives and serves in Latvia with her husband, and Pavel serves here in the Czech Republic on our international team. Since their beginnings traced back to camps that started in 1994, Dave shared the first statistics of the evening: there have been a total of 1561 camps over these past 25 years! 83,000 have attended them, and we know of 6,784 who put their faith in Christ at these camps! In an earlier post about conference, I hinted at something special that was being prepared for this night of celebration. Here it is! 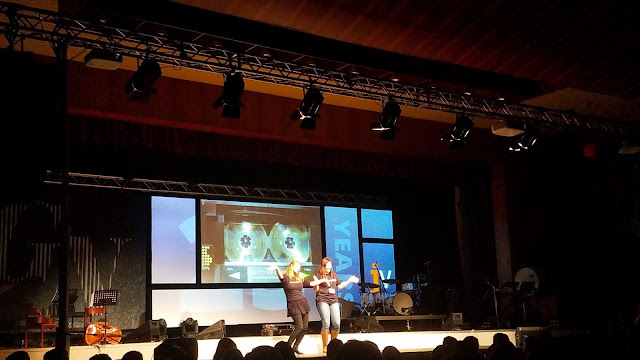 Two of our JV teammates, Gwynne Gardner and Urh Kolar, who serve on our team in Slovenia, put together a video of all the camp songs we've done over these past 25 years. For those of us who have lived through all of these songs, it was so incredibly fun to remember and relive those memories! But that's not all. They also organized someone who had been at each camp to come on stage and do the motions to the songs while the video played behind on the screen, celebrating this milestone of JV's evangelism ministry of camps! Katka and I were the first ones on stage, singing and clapping (we didn't have motions that year!) to Steven Curtis Chapman's, "Dancing with the Dinosaur"! One by one each camp song rolled out with different ones dancing and singing to it. You just had to be there to experience the fun, hilarity and exhilaration of dancing along to all those memories! Want to see most of the performance? Someone started filming it after Katka and I danced for Year One, and our friend Jim Miller danced for Year Two. It's a fun watch if you have a few minutes! But Josiah Venture is more than just camps. We're about life on life discipleship, mentoring young people all the way from unbelief to maturity in Christ. 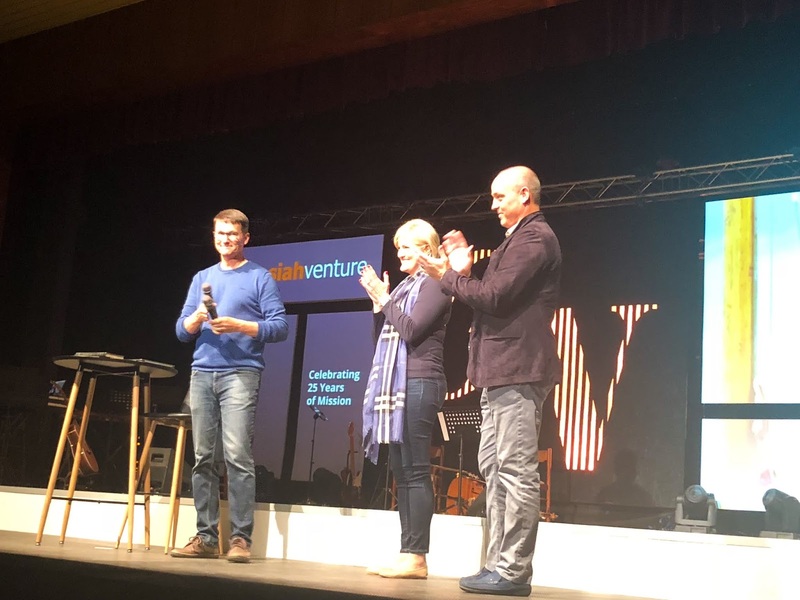 Dave brought up to the stage a Polish national, Michal Skiba and Gord Jackson, who served with JV in Poland for nine years beginning back in the mid 90's. Gord met Michal, a young believer back then, and began investing into his life, shaping and leading him in his walk with Christ. Gord was even the best man at Michal's wedding! Today Michal serves on our JV team as the county leader of Poland, and Gord Jackson serves on the JV Canada board. What a beautiful picture of what we long to be about: investing in young people's spiritual lives to lead them in the discipleship process to where they become those who pass on what they've learned. Seeing Michal and Gord was a good reminder of that! In order for JV to exist and for us to do what God's called us to, it takes a lot of people behind the scenes to make it work. 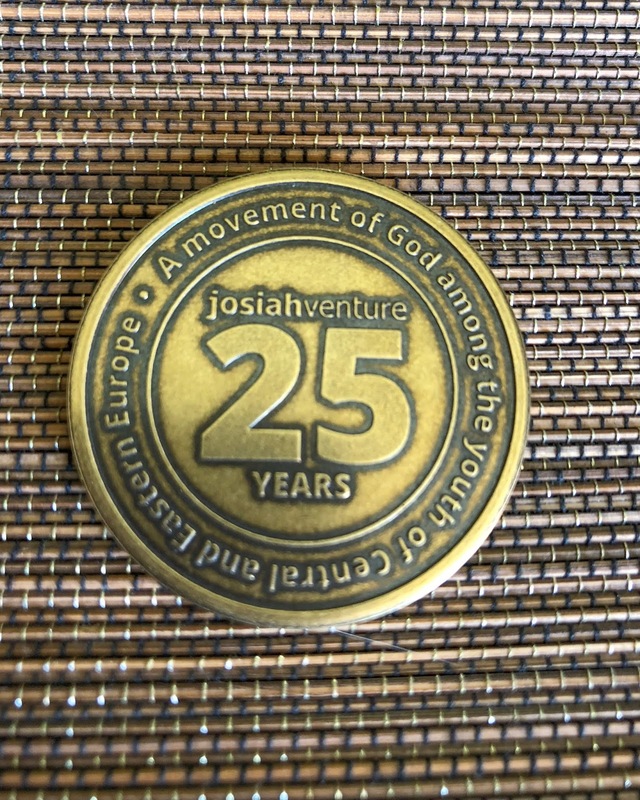 Over these 25 years there was have been 39,000 unique donors to the JV ministry! This includes people like our friends Scott and Karla who have been with us from the beginning, as well as 1,044 churches - all who have stood with us, sent teams, prayed, written letters of encouragement and given finances to make it possible for us to be part of God's movement here. We wouldn't be here without the support and generosity of so many!! We also wouldn't be here without all those who have come to serve. A great example is people like Ben and Kristy Williams. They came on a short term team for camp as teenagers in the mid 1990's when they were 16 years old! They dated, went to college, married, got jobs, brought short term teams in the summers, went back to college for master's degree, and then heard God's call to JV. They serve in Ukraine as the country leaders, and have been full time for the past 11 years. Over the past 25 years we have had a total of 565 staff, both national and second culture (those serving outside of their passport country). We currently have at 350 on full time JV staff, with two thirds of those being nationals serving in their own country, such as ones like Uhr and Doroteja Kolar serving in Slovenia. 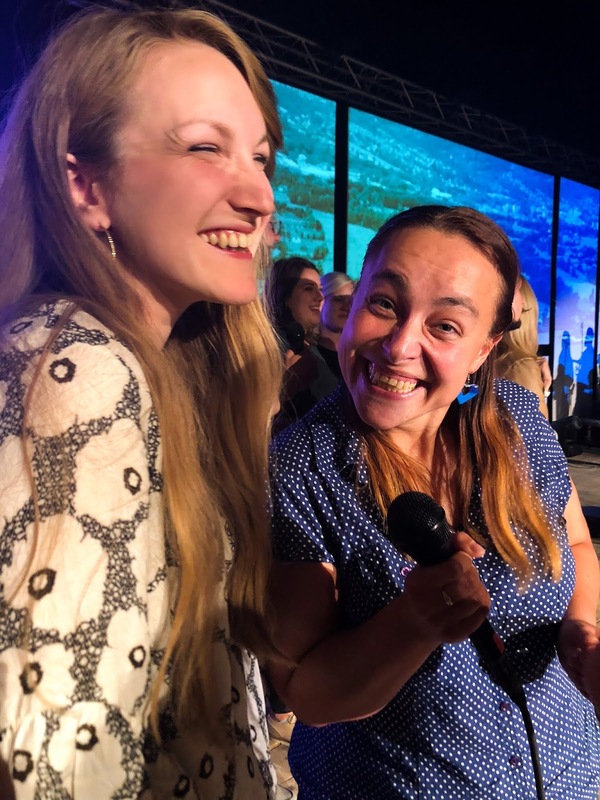 Both of them came to Christ through the ministry of JV camps, and today are serving full time on the team in Slovenia. One special note about them. Up until this summer, each of them have been the only believer in their original families, as many young believers are in this part of the world. But God gave them a beautiful open door to share Christ with Urh's grandma this summer, and now they are not the only believers in their family! God continues to raise up young people, bringing them to salvation and on through the process of growth to maturity as believers. 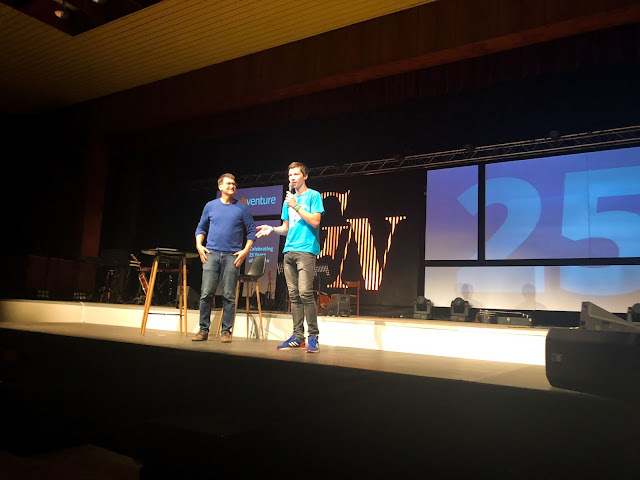 Pavel, from our church here in Frydlant, is a great example of a student coming to camp with no knowledge of Jesus, putting his faith in Him, getting involved in the local church and youth group, and then beginning to pass on what he knows. Today, Pavel is a great discipler of young men in our church meeting regularly with a group of guys, as well as on the leadership team for the youth group. And he's just in his last year of high school! Another group of people that have stood behind us and made ministry like this possible, are the board members from the US, Canada and most recently, the UK. A number of them joined us for this year's conference. They not only serve behind the scenes as board members, but often come to events like this to invest in our team. We are deeply appreciative of them! Dave shared so many great stories that night. Each one gave all the glory to God as he told of the ways that He has worked in the lives of young people, and of the privilege He's given to those who serve in JV to have an impact on the youth of this region, for the sake of the Gospel and making the Good News of Jesus Christ known. He told of the 90,000 young people who have been reached at 435 schools across the region through our EXIT Tour ministry. 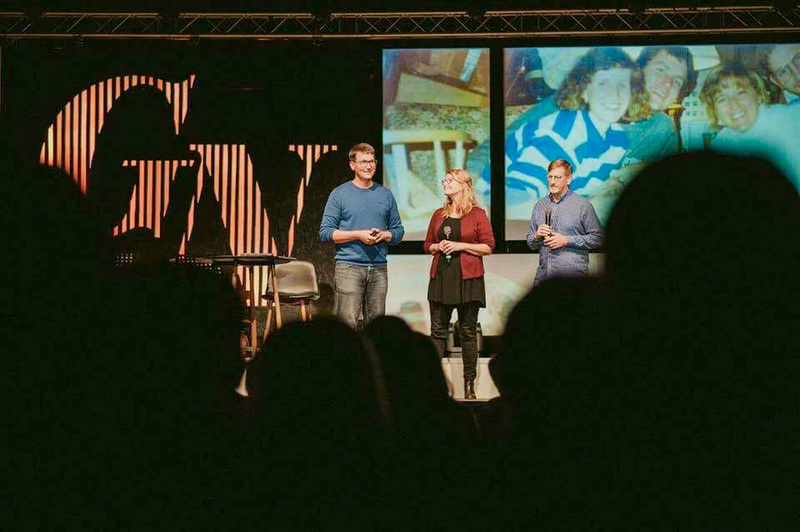 We know of 4,700 who have put their faith in Jesus at these events. 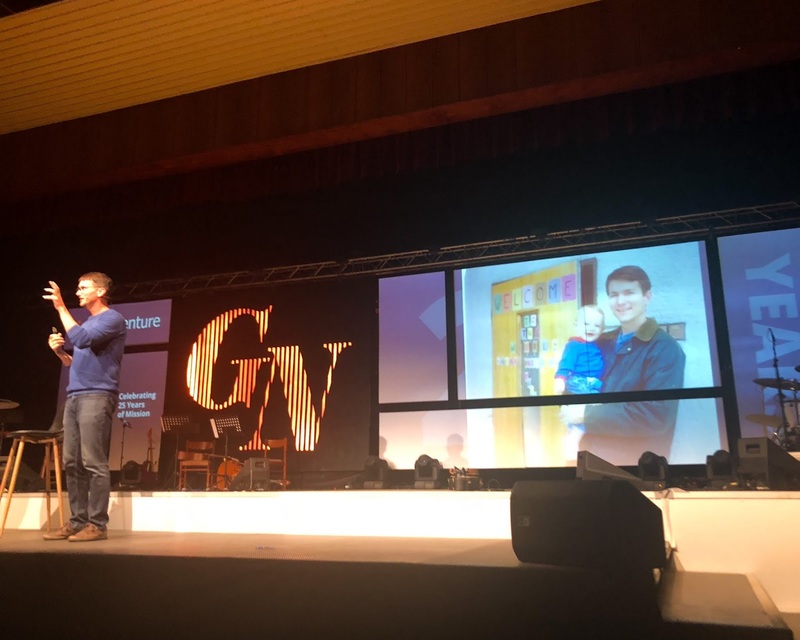 He also told about our Fusion music ministry, and the 50 choirs that have been launched over the past years, with 42 currently functioning who are reaching 1,500 students each week. Many have come to faith in Christ through this ministry too. Edge Sports, a more recent addition to our ministry, has 65 teams meeting together each week in six countries, with 1,100 students involved in several different types of sport ministries. Our leadership training across the region has reached 64,154 young leaders, equipping them to fulfill Christ's commission. And as of today, 14,265 hours of prayer have been prayed in our online Prayer Room. This is the equivalent of 6.8 years of 40-hour weeks with no vacation, 52 weeks a year! We know those prayers are fueling this movement. God is moving and changing lives, and it's happening now! Yet, we believe this is still just the beginning. Our mission is still the same, as seen on this special coin designed for our 25th anniversary. 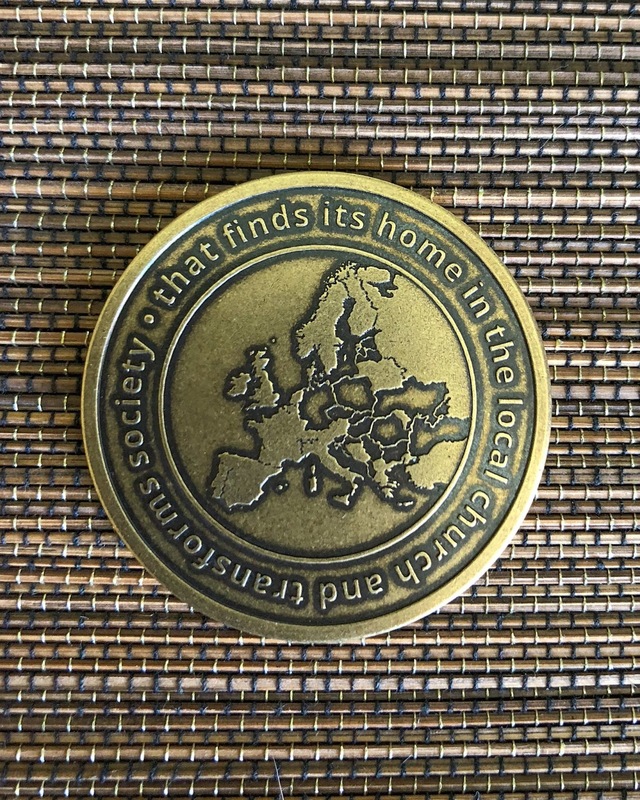 At the end of our celebration evening, the country leaders gathered their teams together and gave to each JV team member, this coin made specially to commemorate the 25th anniversary. Dave told people to put it in their pocket, purse, car or some other place where they're likely to see it often, and use it as a reminder to pray for the lost who don't yet know Jesus. We are still praying for spiritual revival in this part of the world, asking God to do more than we can imagine in calling people to Himself! We ended our evening with another set of rich, meaningful and exuberant worship, singing with all our hearts to the One who makes this all possible. After it was all done, I noticed this taking place in the corner of the cultural house. Remember how I said we believe this is just the beginning? This gathering is evidence of that! 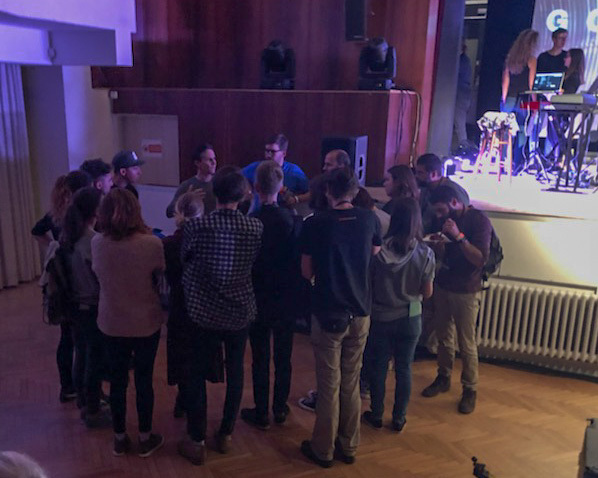 Our son, Tyler, is talking with a group of interested young leaders who want to go further in their biblical studies so that they are even more equipped to reach their nations. 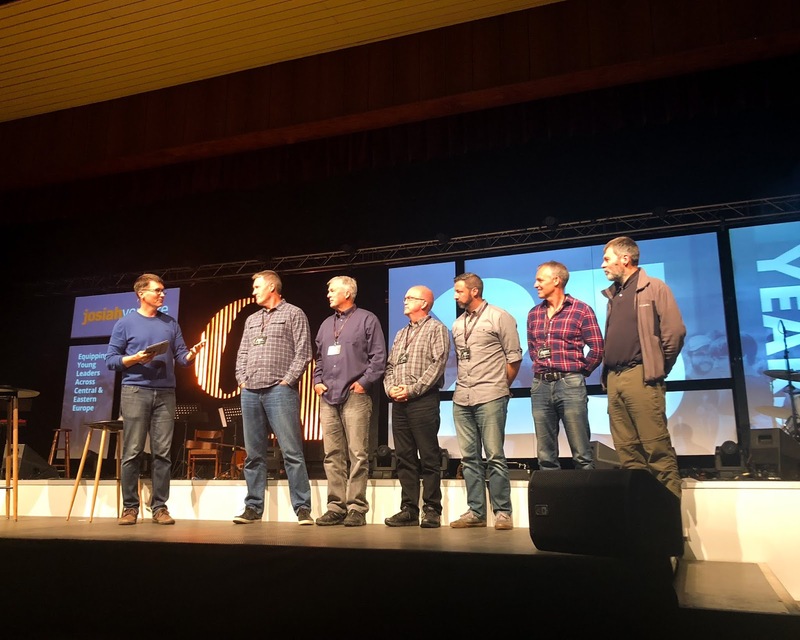 Next September Tyler will be directing yet another new part of our ministry - a university program that will allow these leaders to study for a bachelor's degree in theological studies, with an emphasis on mission. 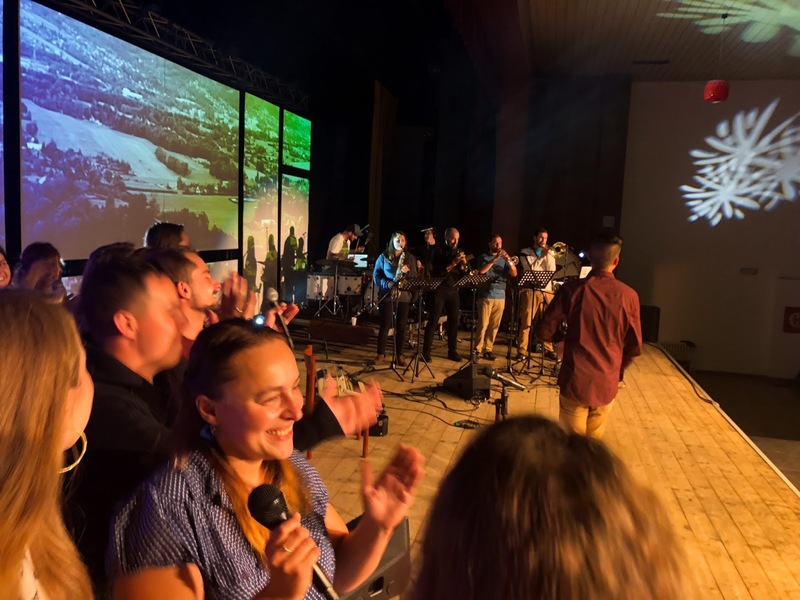 They will come to Malenovice once a month for a week of cohorts and on site teaching, and then return to their places of service around the region where they can put into practice what they're learning. They'll have papers to write, and books to read during their weeks at home before returning for more teaching. This program will take them three years to complete. This has been a long post! 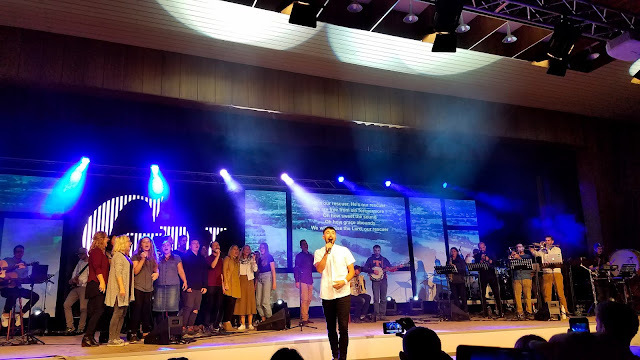 But I wanted to capture as much as I could of what God has done and is doing to reach the young people of Central and Eastern Europe. We praise Him for 25 years of work in this region, and look forward to at least another 25 years of seeing Him transform lives and society around us! I also have chills of wonder and joy - a few tears too! 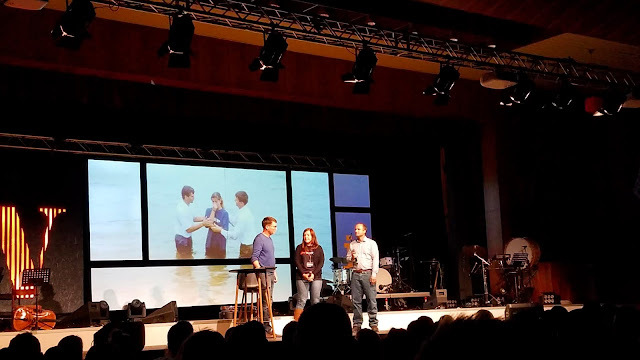 Thankful for the privilege to be a part of God's redeeming work in Poland.